Lock in a great price for A Durmì – rated 9.4 by recent guests! 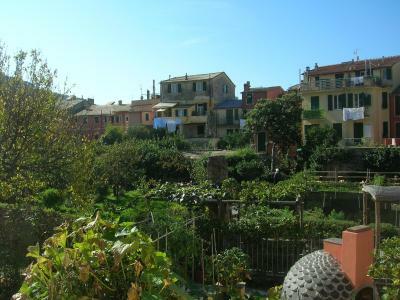 First, became clear to me that Levanto is the ideal base to explore the Cinque Terre. 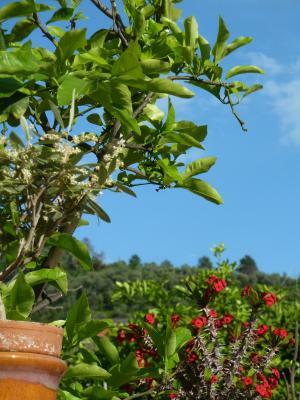 À Durmi is on a 3 minutes walk from the train station, with a plus of being near the historic center of Levanto.. So the location is the best possible. On top of it, staff was super friendly, cozy bedrooms.. everything very positive. Our visit began with an introduction by Victoria, who greeted us warmly and spoke excellent english. 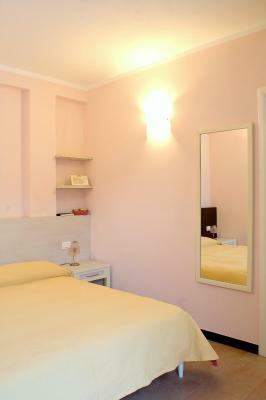 Hotel is a quaint, family owned and operated inn located conveniently to the train station and the main area of town. The room was nicely furnished and comfortable. 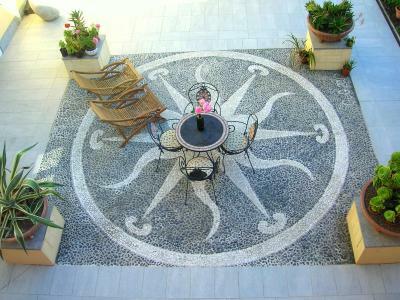 There is also a very nice courtyard for outdoor relaxation. On site, underground parking is available for a small fee and this worked out great given the limited parking in Levanto. Well cared for and charming, the patio/garden area was beautiful. We stayed at 4 other places in Italy and this was our favorite. Close to train, shopping, and beach. Really enjoyed our stay. Staff was realy friendly. Breakfast very good. Perfect location, near train station. Room clean and speacy. A smal but very nice garden near the room. We stayed in Levanto to visit the villages of Cinque Terre. We were warmly greeted by the host who took the time to give us tips on the villages, the train pass and the train timetable. Also information on Levanto and where to eat, which was especially helpful as it was low season and not much was open. 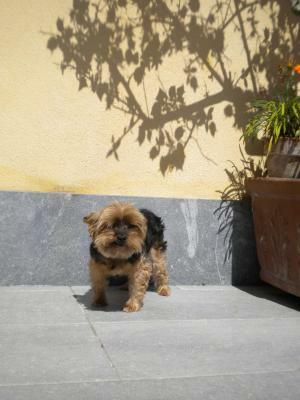 Durmi' is an excellent choice for anyone traveling by train to Ligurie for hiking.. 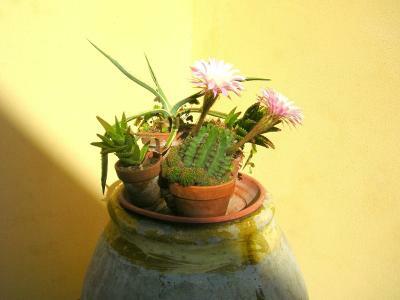 The town of Levanto is very well organized and quite a bit better than it was 3 years ago for accommodating guests. 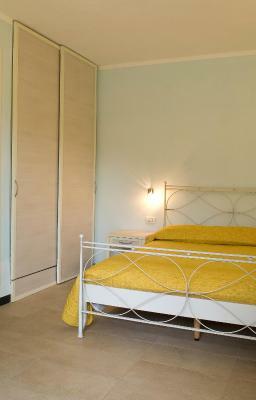 The rooms are completely first class, the bed comfortable and the inner courtyard spectacular. Brave ragazze. The staff was very friendly and helpful. The accommodations were nice and comfortable. The patio and gardens are beautiful and it is located near the train station and adjacent to the Old Town which is vehicle free. Amazing! Victoria welcomed us and made sure we had everything we needed. Throughout our 3 day stay she continued to be helpful. 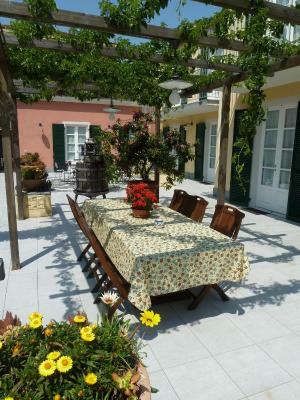 The is a very nice hotel just blocks from the train station(easy access to other Cinque Terre villages). The town of Levanto is beautiful... several shops and restaurants in walking distance, with a beautiful beach. Convenience to everything and the friendliness of the hosts. 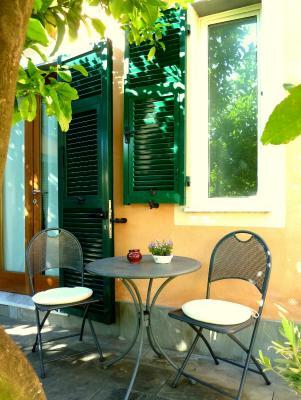 Just 1,950 feet from the beach on the Ligurian coast, A Durmì is located a 5-minute walk from Levanto Train Station. 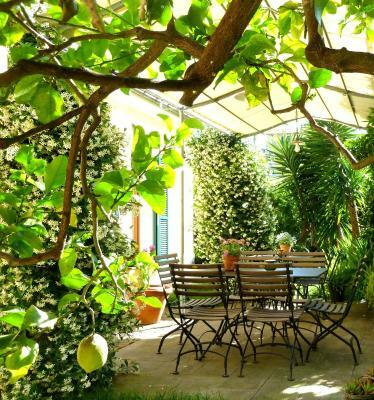 It features an equipped garden and terrace, plus classic-style rooms. 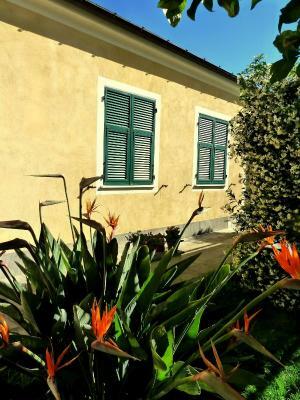 Overlooking the garden, rooms come with a satellite flat-screen TV, and a private bathroom with a hairdryer and free toiletries. 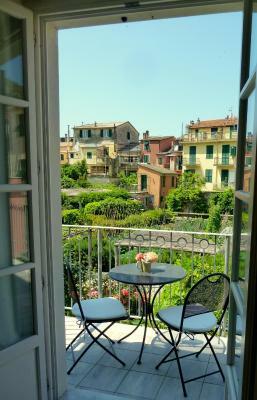 Some rooms offer a balcony or direct garden access. 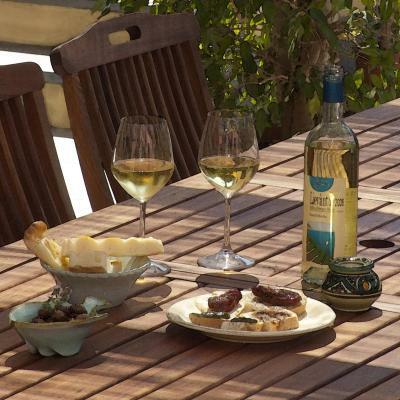 Free Wi-Fi is available at reception, where you can purchase locally produced items such as wine, olive oil and honey. 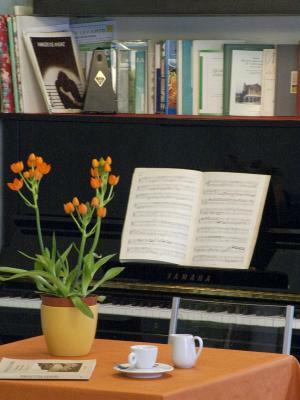 You can enjoy a drink at the bar or relax in the small library. 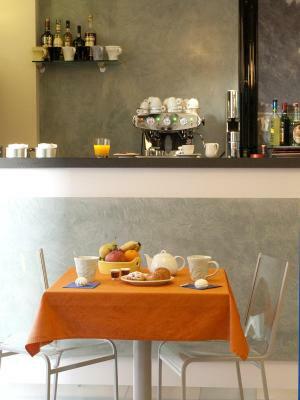 Located next to the Cinque Terre National Park, A Durmì is ideally placed for cycling and hiking excursions. This property provides free beach towels and a garage can be reserved. 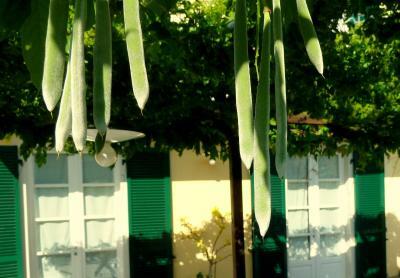 This is our guests' favorite part of Levanto, according to independent reviews. 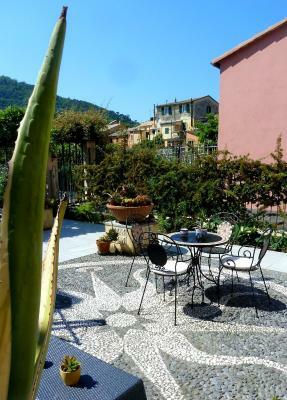 This property also has one of the top-rated locations in Levanto! Guests are happier about it compared to other properties in the area. 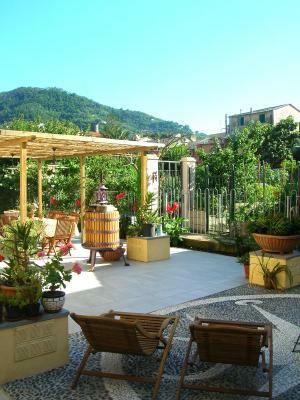 This property is also rated for the best value in Levanto! Guests are getting more for their money when compared to other properties in this city. 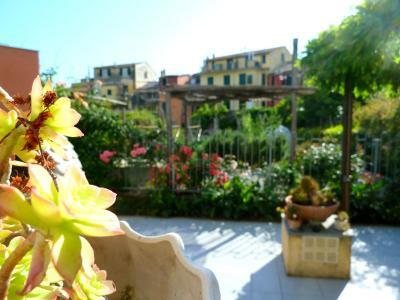 뀐 Located in the top-rated area in Levanto, this property has an excellent location score of 9.7! When would you like to stay at A Durmì? Overlooking the garden, this room features a satellite flat-screen TV, and a private bathroom with a hairdryer and free toiletries. House Rules A Durmì takes special requests – add in the next step! A Durmì accepts these cards and reserves the right to temporarily hold an amount prior to arrival. Please note that this property has no elevator. The garage comes at extra cost and is only suitable for cars under 83 in in height. 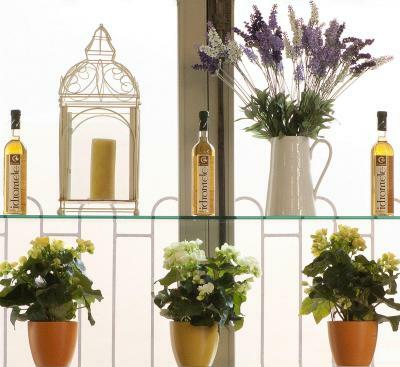 The bar is open daily from 08:00 until 13:00, and then from 15:00 until 19:30. Please inform A Durmì of your expected arrival time in advance. You can use the Special Requests box when booking, or contact the property directly using the contact details in your confirmation. Awesome localisation, great and very helpfull staff, big and quiet room. Really nice staff. Excellent location. Clean room. The hosts are wonderful, always ready to help. The lighting in the kitchen - but this is a cultural feature and goes as good as for all the italian kitchens! This place is really comfortable and super clean. 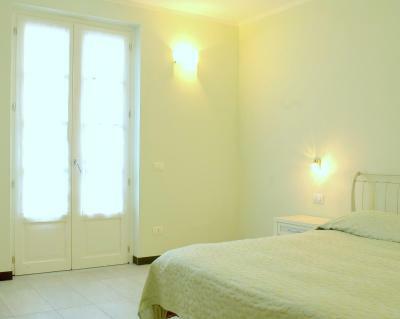 The location is perfect, short way to the railway station, while being actually inside the city center. The personnel, reception and inner courtyard are welcoming and in a way creating a sense of community. There is a focus on recycling on this property which was a plus, since recycling is what we all are used to do at home by now and you feel bad if not doing that ’on the road’ as well. There is attention to small practical details that add comfort. We had an apartment with a kitchen and it was like at home, we found everything we needed. There is also a large (to be italian!) supermarket at some minutes walking distance from this place and of course all the specialty food shops in Levanto city center. I had probably the best sleeping experience during our stay in Italy in A Durmí, the bed and the room temperature were just perfect. In winter time bring your slippers, the ceramic floors are of course cold. 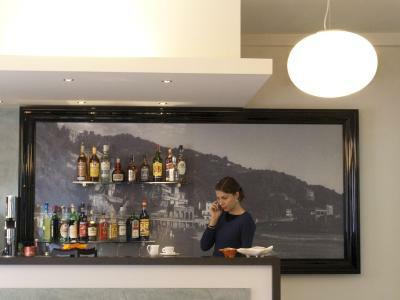 I got really good instructions and tips for our trips in Cinque Terre from Chiara who runs the hotel with her sister. Our stay was in February which is not so busy season and therefore a really good time to stay here and go on the walks. This was the second time I’ve been guest in this place and I will definately return! Amazing service provided by Chiara, who really knows how to take care of customers ! The room and courtyard were great. 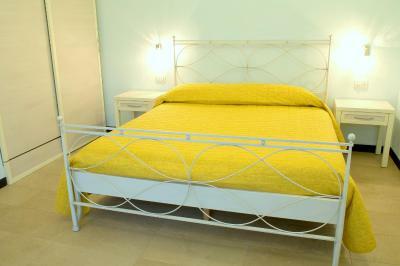 The room was well appointed and very clean and the bed was very comfortable. Chiara and Elisa were great hosts and couldn’t do enough for us. Would stay again and recommend to friends as a great location and base for Cinque Terre and beyond that’s free from too many tourists. 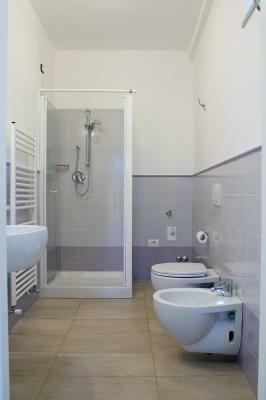 The room was spacious and clean, the service was absolutely friendly and very helpful. I would definitely recommend to stay in a Durmi. Fantastic sunny apartment within garden surrounds. Great hosts who gave us all the information we needed for our stay. Beautiful peaceful town where you could relax without thousands of tourists. Loved every moment at this wonderful hotel. We had a first floor room that opened onto a lovely garden patio. However, you can really hear the guests overhead, especially their use of their bathrooms. Very nice and helpful hostess. The breakfast was great, fresh and tasty homemade. The hosts were lovely and it felt like we were staying with family. They were always on hand to provide assistance in planning our days to get the most out of this fabulous region, from suggesting areas to visit, giving us train timetables and advising on where to eat or drink - nothing was too much trouble. 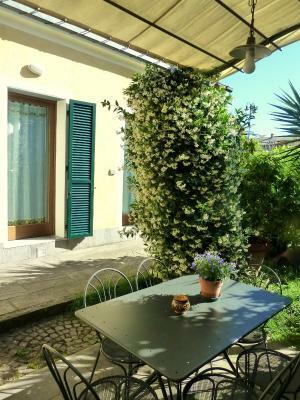 The room was large, clean and comfortable and the courtyard garden was fantastic - we had a nice strong coffee out there in the mornings, and often a beer in the afternoon after exploring the Cinque Terre towns. The location is great for the train station and for the town/beach...roughly in the middle of it all! There was nothing we didn't like, it was fantastic.